Today’s sophisticated vehicles require the exhaust system to be in perfect working order to maintain correct engine efficiency. Finish Line Performance highly trained technicians can handle all your exhaust system needs. 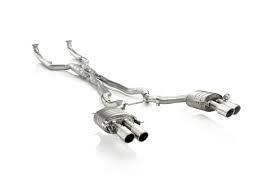 Diagnose and repair exhaust system, including flex pipes, catalytic converters, oxygen sensors, mufflers and pipes. At Finish Line Performance we can also install complete custom exhaust systems for most vehicles.